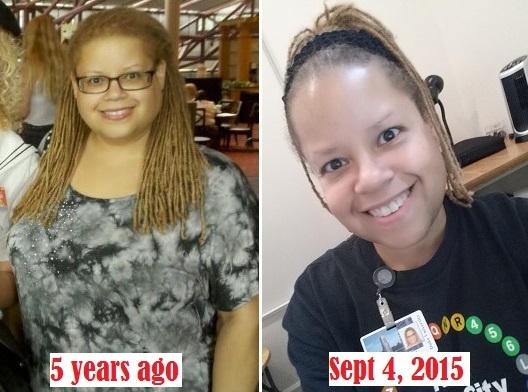 I still don't see myself in the mirror as Panda down 63 lbs. 🐼 It's only when I come across pics like the one on the left that I see the huge difference (someone had this screencap from a CNN appearance from my blogging days during the 2008 presidential cycle on their blog). I was on 3 types of insulin/injectibles for diabetes 3x/day (now I'm off all of them)! Ironically, it was also before rheumatoid arthritis struck (2012) and my L5-S1 herniation, surgery, re-herniation, and last year the disabling disc collapse. 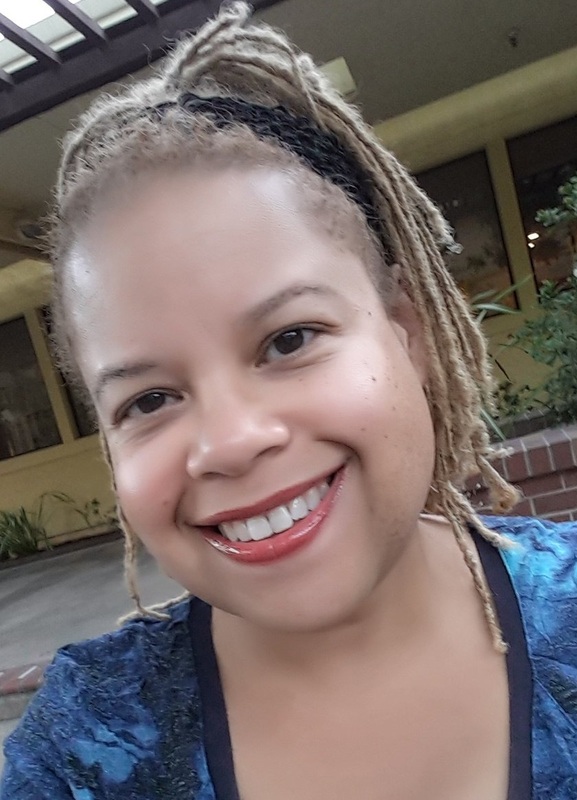 I'm thankful that I was not carrying the extra weight during this last physical/health disability that led to my termination from a 22 - year career at Duke University Press after my FMLA ran out. But I didn't give up. I am very slowly and carefully working on supporting my back after 3 months of inactivity, first using a walker and then a cane. On the bad days when that nerve gets pressed, it's like an electrical shock and acute pain beyond belief leaving me practically bedridden; other days I can walk unassisted. 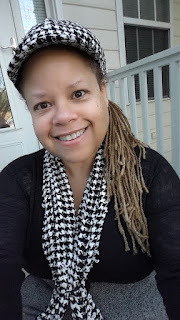 I can't sit or stand for hours at a time as I did when running/writing the Blend, but I'm doing my best to reboot my life, remake and better myself. My dilemma is I really can't consider fusion surgery for a variety of reasons, but the real kicker is the discs above and below the collapsed one are also degenerating, so fusion to them for L5-S1 will hasten their collapse, leading to additional fusion surgery. So my spine is a time bomb, but I can't give up, just forge ahead to make the most of what lies ahead. 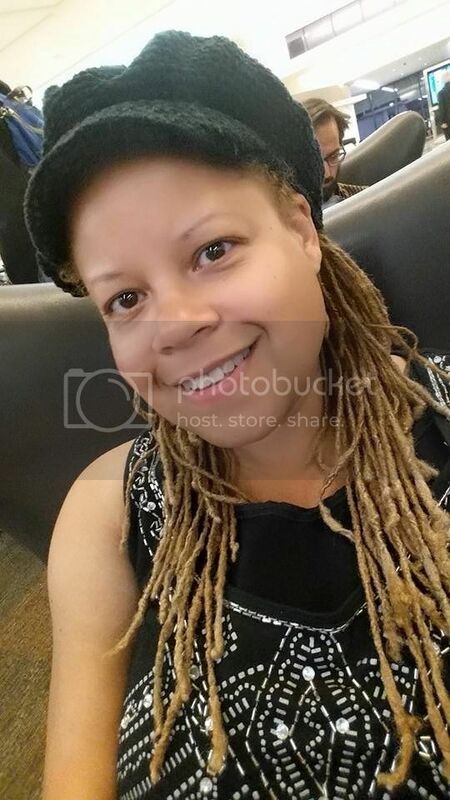 What I am grateful for is your amazing kindness and support of my GoFundMe campaign (http://gofundme.com/pamscomeback) to get through this tough limbo period as bureaucracy leaves me twisting in the wind awaiting decisions from Duke and its disability carrier. The latest update is I should know by the first week in May what my options are to move on. Chronic, disabling pain is an invisible disability that is life-altering, as many of you have shared in messages and emails to me. It can make life seem hopeless one day, and possible to rise above the next. Dealing with medical professionals to address pain management in a healthy way is its own challenge as well. But I'm here to say not to give up. Just remember, even after putting in decades on the job...if you have a disability/chronic condition that requires ongoing medical treatment, surgery or both, those 12 weeks of time under the Family Medical and Leave Act (FMLA) are all you are legally entitled to under federal law. And then your employer can choose to let you go. One can ask for reasonable accommodations under the Americans With Disabilities Act, such granting an extension of FMLA's job protection for the employee to complete recovery from surgery/rehab, etc. However, even with physician recommendations provided, it is still the decision of the employer whether to accept that extension request. A company, if large enough, can sometimes accommodate under the ADA by attempting to match the person to another position (of equal level or lower) in the wider organization. The employee often ends up on the short end of the stick. Many people end up broke in situations like this, losing their homes, vehicles, etc. they lose the ability to make a living, get into the long disability process and medical bills destroy their lives. All because they got sick...and the limitations of FMLA as a safety net became a stark reality. 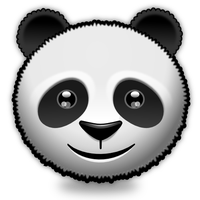 Anyway, with that general information dispensed with, I found out this week that major life changes are ahead for Panda. Priority 1: Panic avoidance - keeping a roof over your head. Priority 2: Handling disability. Priority 3: Figuring out a next chapter and where it takes you. Dealing with a situation where I already have rheumatoid arthritis, and this acute recent problem - a reherniation of lumbar disc at L5-S1 that has now collapsed -- and L3 and L4 are not far behind -- it is a life altering state at the moment. It could remain acute and painful (sitting at a desk or standing to work for a full day is simply not tolerable). You know it's bad when the most you can do is lie in bed with a pillow between your knees, on your side, and tap out Facebook entries to pass the effing time, or compose emails on your cell phone to try to manage appointments and respond to questions. Where making a ten-foot trip to the bathroom can be painful and a fall-risk at times. A far cry from walking 2 miles a day, losing 60+ lbs just a few months ago. I have managed to hold my weight loss steady. The "pain diet" works wonders for appetite suppression. Taking time off for anterior fusion surgery exceeds FMLA time (too risky because of my RA and the frontal approach) and recuperation is long - 4-18 months. So that was out. Getting stabilized (or find out if I can recover enough to return to work) with PT, alternative therapies and medication could do the same - and has run out the FMLA clock. Life has not treated me kindly so far in 2016. Hopefully something will change for the better. I may have to sell my house and move. 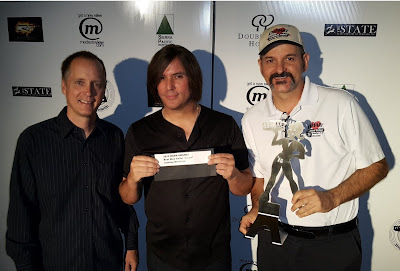 I have to give a shout-out of love to two really important friends in my life who have been right there for me during the past year of difficult times - Joe Sudbay, citizen journalist extraordinaire and partner in crime during my Pam's House Blend days; and my bestie and Grand Poobah, Jeff Salado, lead singer and manager of the tribute band Journey Revisited. Both of them are lifelines to sanity and support in times of such upheaval and doubt. 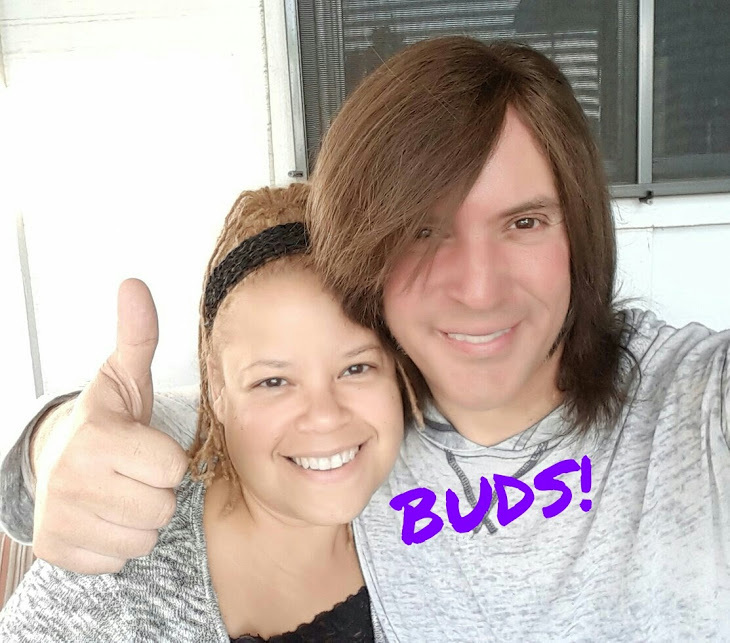 I love my buds; it's not often to have not one, but two such beautiful souls have your back. 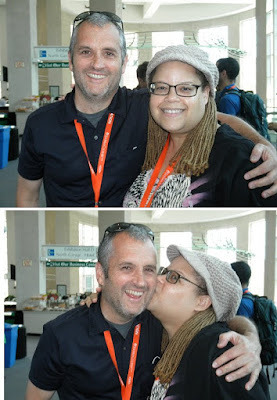 With Jeff Salado, October 2015; he gave me the Panda nickname. Can't say much more than what you see here (and not taking questions, btw). Much is in flux. * The fun of increasing joint damage and unsettling fatigue - "but you don't look sick"
When GLAAD launched its "Outstanding Blog" category five years ago, it was a cultural marker that grassroots activists whose tool was their digital soapbox and journalism could be recognized for the vital role they played in moving the civil rights ball forward. Most bloggers truly were/are independent journalists -- working for little or no revenue or sponsorship, operating in the belief that grassroots knowledge is power, and that mainstream and LGBT media were missing local stories and not connecting the dots to see the disconnected between metro and political LGBTs and life out in flyover country. It was good to be nominated -- the Blend was one year, not a win but I felt honored nonetheless. I saw good work by my peers recognized. It's a field with a lot of work and little reward except making this world a little bit more informed by voices that are not normally part of the media as we know it. The grind to produce content day in and day out, particularly if you have another job to support your journalism, can take its toll. It's why I had to shutter PHB in 2013 after nearly a decade of intense production of commentary and first person journalism. This year the category is scrapped, or if you listen to GLAAD's statement -- consolidated. Blogs were now "elevated" to compete with sponsored, large media organizations and publications with actual budgets and payrolls. The end result? No independent citizen journalists are among the nominees. Any thinking. politically and socially aware person would figure this would be the end result. This error in judgment needs to be corrected. I signed on to the open letter below to register my dissatisfaction with GLAAD's decision. In the spirit of a community in which every voice is an asset in our march to full equality, we ask that the ‘Outstanding Blog’ category be fully reinstated immediately. Please conduct a nomination process at once so that this critical error might be rectified before your 2016 awards dinner. Also, announcing the winner of this category from the stage, unlike in year’s past, would also be a nice touch. Is 'Winds of March' Steve Perry's best live performance? 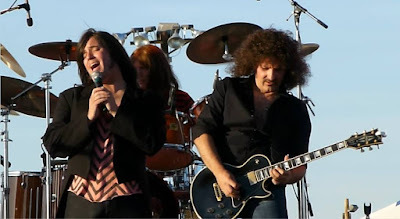 "Although it is bold to claim which of Steve Perry’s amazing live performances are the best, we would have to argue that his insanely pristine vocals and range in the 1978 Chicago “Winds Of March” is it. ...From Journey’s fourth album, Infinity, “Winds Of March” proves to be one of the sweetest soft rock songs in existence about a parent experiencing the heart wrenching loss of a child. " 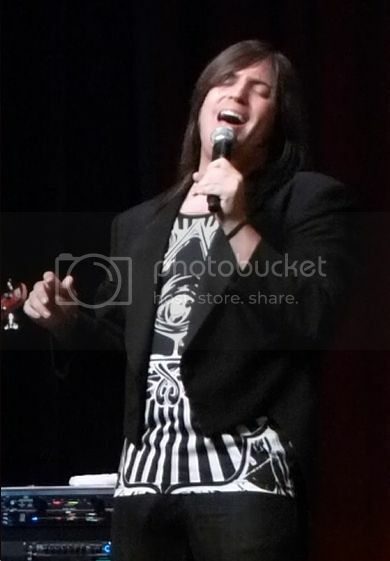 Although there are hundreds of performances to choose from, this happens to be our favorite and most touching vision of the great Steve Perry. I classify Steve Perry in three distinct vocal periods/quality: this is the pristine countertenor period, the 80s arena rock tenor heyday, and the very tour-damaged, dirt-in-the-vox, but talented latter period in late 80s to 1996. I love each period because he learned to adapt as his voice changed, but what remained constant is his ear for melody, tonal excellence, convincing emotion, judicious use of melisma, a base rooted in Sam Cooke, and that vibrato. I agree that this is an incredible example of his range, power, clarity, and emotive qualities. It almost makes you weep listening to the disciplined note production, the controlled vibrato, the ease with which he delivers an extremely difficult song. It is beautiful to behold. This song is a Mount Everest for any tribute singer. It's so way up there, unearthly, practically unachievable. Even Perry stopped performing it after it was effectively replaced by Mother/Father as the vocal show stopper in 1981. People need to remember that most of the recorded official (and unofficial on YouTube and boots) show SP at his best. As he is a human being, his gift wasn't "on" every night. You can find some YouTubes where he's dodging notes, doing brilliant substitutions but staying faithful to the song's intent and emotion. The hallmark of a great vocalist is one who learns how to work with the tools in his vocal toolbox on any given night on the fly. That's where I have to give props to tribute singers like my bud (and colleague) Jeff Salado, of Journey Revisited. All of these singers attempt to emulate Steve Perry at his BEST consistently night after night in front of casual fans of Journey to die-hards like myself. Keeping the Perry era of live performance authentic is a tall order indeed. The demand is there to hear these great compositions performed live with fidelity to original sound. The stellar timeless songwriting, musicianship, harmonies and tenor-based vocals of Journey are easily recognizable, embedded in cultural references, and are celebrated by millions. Many are enamored of not only the hits, but the deep cuts and varied textures and genres that the band dared to dip into over the decades -- blues, R&B, rock, and pop. It’s no surprise that among those who grew up with the iconic music are now musicians and vocalists inspired to pay tribute to Journey by performing the work live -- including the members of Journey Revisited. Journey Revisited's lead singer Jeff Salado asked me what I thought about seeing the band for the first time live -- when I came out to California in November 2014. With experience as a journalist, photographer, and videographer, I decided to give him feedback/insight that he was unlikely receive from the average concert-goer. What was surprising is that once he read it, he asked me to recast what was a private email into an article because he wanted to share with you all what it's like to perform through my lens as a writer, a fan and good friend. 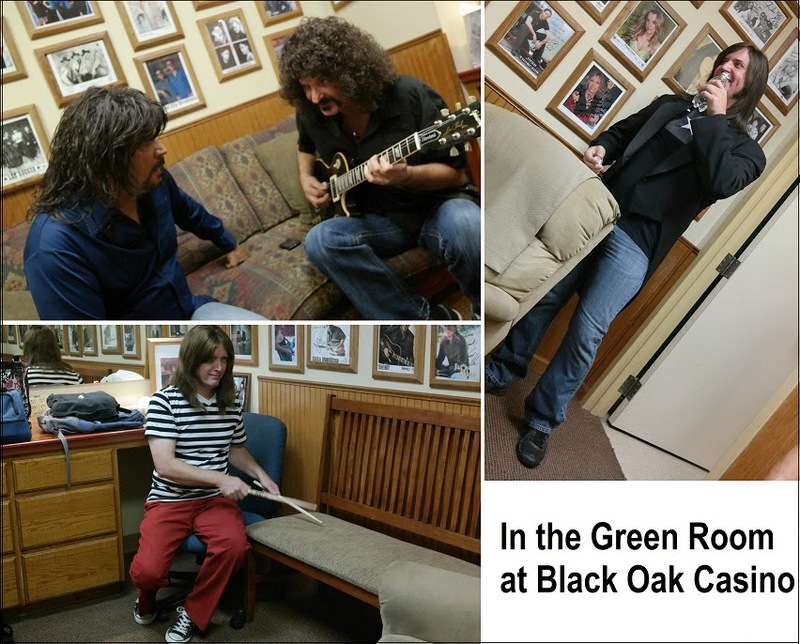 Prior to that November Black Oak Casino performance, I had only seen Jeff onstage via video. where it's clear that he has great stage presence and stagecraft -- he interacts with fans, and connects them to the music of Journey. I did, however, have the good fortune to spend time with him prior to the concert, hanging out in his environment -- seeing the offstage Jeff Salado. Most fans never get to interact with that Jeff - the goofy, funny, nerdy, lovable guy who's also capable of conversations of great intellectual depth and thoughtfulness. A dude who loves talking Journey from the perspective of a singer (of course), muscle cars of all brands and styles, boxing, history, science and classic TV. Jeff possesses a noggin full of useless trivia like myself that makes conversations incredibly interesting. That guy isn't on stage. The joy in live performance is imperfection, the choices of the artist ensures that each performance is uniquely owned and delivered to the audience is a key goal. Audiences continue to seek out the golden tones, the rich warmth and raw emotive draw that Steve Perry evoked during his tenure with Journey. The tribute bands yearn to satisfy that thirst for melodic sound that moves fans of Journey’s classic album oriented rock. 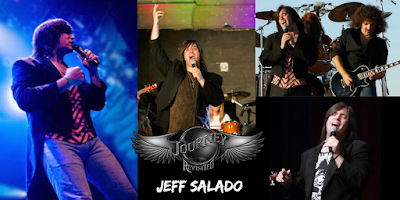 The challenge for Jeff Salado, a huge Perry and Journey fan, is to keep that level of quality, fidelity and emotion pouring forth each gig to connect with the music and channel that energy to ardent fans of the aural benchmark set by Steve Perry. So my presence at Black Oak as a working professional (to capture photos and video) allowed me unique access to observe passively on multiple levels. After the show, I had a lot to say about that experience, but not in detail, or with a critical eye. So here's my perspective on the Journey Revisited lead singer...what you see and experience is more than meets the eye. This is the serious guy you see at the venue working on sound check, trying out an ear monitor, or the green room discussing band plans for the year. He's quite relaxed but carries a level of command of the room that telegraphs business. After all, this is a job for all of them. They are all conscious of wanting to be at their best to please the audiences that eagerly await hearing classic Journey. It's also reflected in the photos in the Green Room. You'll notice that the other guys are relaxed, focusing on their own warm up routines, but Jeff's presence set the tone for the evening, loose but mindful of the task at hand, for instance, inquiring about adding songs to the roster for the next year, and how the band can accomplish learning them by tour time. There were a couple of unusual circumstances that night -- I was introducing the band on stage, and they were celebrating guitarist Val Popovic's birthday. So Jeff and Val were holding court in discussions, considering whether to sing a version of "Lights" based on the studio recording or a live version. Jeff's ability to stay motivated in adverse conditions is remarkable; that night at Black Oak was an unusual perfect storm to vex a vocalist -- the smoke in the casino was overwhelming due to a group that arrived and proceeded to smoke out the capacity of the air system to clear it out. Cigarette smoke flowed freely into the concert venue space. It's enough to shake any vocalist - the issue became so problematic that Jeff, during the performance, twice asked me to retrieve lozenges from the dressing room in a valiant attempt to keep his vox from being affected by the smoke. Everyone in the venue was feeling the horrible burn. It is also not surprising how well Jeff pushed past it, making slight vocal changes and choices to accommodate the uncertainty of his ability to deliver certain notes -- a hallmark of a self-aware vocalist. Jeff's had to endure enough uncertainties and frustrations and always forged ahead as the professional that he is. But he has remained humble. It's rare for an artist to talk about an off-night; it's a vulnerability that many won't admit to. But the reality is that we're only human; and Jeff wanted me to share that it's something he's not ashamed of; we all have days where we come up short for whatever reason. It's no different for entertainers -- their skills and performance are dependent on tissues that get strained by smoke or hurt by allergies. The show must go on. And consistency is key to any tribute band. After all, JR has to perform gig after gig to represent the peak of Journey live. Even that stellar band had off nights. Journey Revisited has to replicate landmark sounds such as the 1981 Live in Houston concert that Jeff models some of his Perry vox from. This consistency is why JR won a coveted Modesto Area Music Award for Best Blue Collar/Cover Band in 2015. This aspect of Jeff Salado will be familiar to many of you. My first reaction to seeing him onstage in person (after doing the band intro I had to quickly get offstage and get down in the venue to see the rest of Escape) was "WOW." Hearing his voice live with my own ears -- it was literally going from mono to stereo for me, and I was having a hard time concentrating on my photography during that number; I had to keep stopping to look up at Jeff to reconcile what I was hearing with seeing him up there on stage with the guy I just had lunch with, cutting up with friends. And, as I mentioned above, I saw him on what he considered an off-night because of the smoke affecting his breathing, challenging him when hitting/holding certain notes that he normally does with ease. He also was mindful about some mistakes in timing on certain songs. These are things the vast majority of people in the audience didn't notice or care about. But the perfectionists of Journey Revisited always want to deliver 110%, Jeff included. For Jeff that means focusing on his stagecraft and appearance as well -- he told me, "it's not only the music, it's how it's being presented and looking our best and feeling our best is doing our best." For me, imperfections are part of the beauty of live performance though; you're seeing the marvel of the gift of the human voice, a fragile instrument with miraculous ability to produce sounds so rousing, so moving. 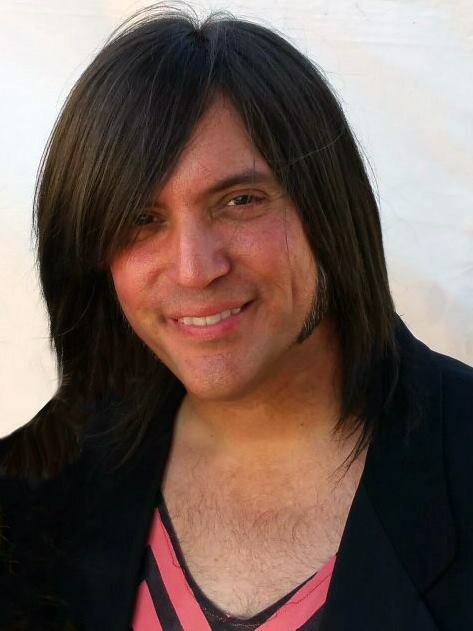 Not everyone is as blessed with the physical goods to produce the notes that Steve Perry did, but to have the skill of controlling that instrument to project sound with such clarity and power and emotion is one of Jeff Salado's natural gifts that he works hard to hone for the audience. The band digs deep to deliver no matter what the conditions are. The Journey catalog is already a high bar to clear instrumentally; and the Bay Area arena rock supergroup’s era that is the most in demand to hear live is the Steve Perry years (1978-1996). Gig after gig, those classic, stratospheric vocals have to be recreated at an almost impossible standard -- one that even Steve Perry couldn’t reproduce consistently live, simply because we’re talking about the human voice. The difficulty of being a lead singer is that you can't replace pipes like guitar strings and every night, every venue is different environment. The one thing I wish for, as part of the band's support infrastructure, is that I lived closer to see JR live more frequently to enjoy the uniqueness of each performance, the nuances, the choices made (I live in NC). It makes for a more informative piece to discuss this section not in a cheerleader "isn't Jeff cute and he sings great" review. It means so much more to describe how the performances work, and how that the forces align to deliver a special experience for fans, casual and die hards alike. For me, seeing Jeff the performer up there, the offstage Jeff ceases to exist; this onstage Jeff delivers a huge dose of liquid mojo out there for the audience to drink in. What is it? * Vox - His pipes are amazing; I could hear that despite the challenges that night at Black Oak. One video, I watched over and over afterwards, was Too Late because his vocals speak to me in that song, and the band is so tight on it. I think many fans find the sweet spots in their favorite Journey songs that Jeff sings that you walk away wanting more. 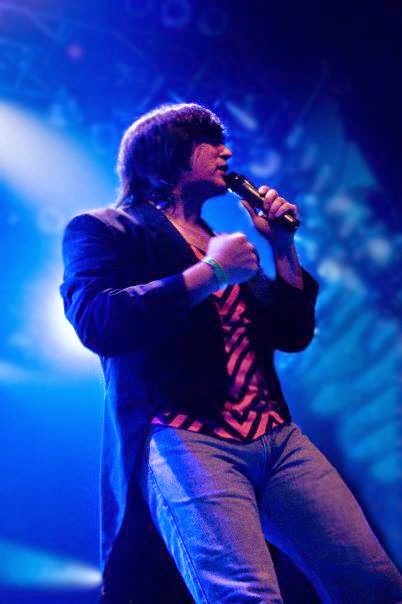 His range, his power, and his strong Perry-like vibrato and tone are what sets him apart from other Journey tribute singers. He also shares with Perry a gifted fine ear for pitch -- hearing the notes with clarity and able to reproduce accurately on demand. That takes much more work than what average people can accomplish without major effort, but it is second nature to the Journey Revisited vocalist. After a gig, Jeff always has singers and vocal coaches come up to ask how he does it. But sometimes it really looks like he isn’t really thinking about it. They have no idea that Jeff has zero formal training, and employs no regular routine to maintain those golden pipes. He’s like a car that never needs an oil change. "I have NO regimen, I'm pretty much a fly-by-the-seat-of-my-pants singer." But he knows that to preserve what he has will take more work down the line. * Emotive ability - He puts himself into the song; Jeff has the ability to "perform" emotion even when he's not feeling it that night. Even though I knew he was having a rough go of it (i.e., the lozenges run), when I would watch him, I felt the songs, I felt the resonance and connection to them. That's a hallmark of a pro. * Physical performance: Jeff gives it all onstage -- often at his own expense in post-gig pain. I know he wishes he could jump off the riser every night, but no one takes the Perryisms and runs with them in spades like he does. He projects a significant bodycon (body confidence) onstage. * Audience connection - If you were standing near that stage, which I often was, I was bowled over at how dynamic and powerfully he draws people to him. When he looks directly at people during a song that energy flows to them, and reflects back. It's exciting to experience. Several times he looked at me as he does to people in the audience all the time. When I saw the images, as I was going through the 800+ shots taken during the show, I could actually recall that energy. It's why audiences come back, and want to come back. He connects as an artist. "I want people to feel special because they are; when they go home after a JR concert, I want them to feel that there was a connection directly with me in the hope that we'll see them at our next concert. We do everything we can to make each show even better." After a decade of covering public figures and politicians for a nationally read, influential political blog, I can honestly say I've seen few people onstage or out in the political realm with the kind mojo Jeff Salado has. Jeff has the ability to make everyone else in the room disappear when he looks at you. You feel like you are the center of his universe, with undivided attention, whether it is for a few seconds, or a few minutes of conversation. He makes that person feel special in some way. There's no way to create it or recreate it. This is priceless when interacting with fans after a gig. He gives it all in those moments. I've had discussions with Jeff -- amusing ones at times -- about this energy and its impact on women. It's there onstage, but it's also there when he's still in stage persona and interacting with people of all persuasions. 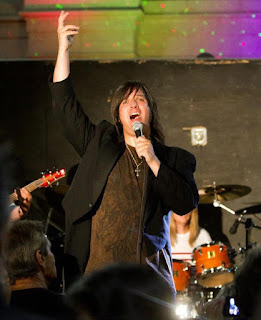 He obviously knows how to turn on the considerable natural charm, but it's that extra something special that just flows from him that is non-denominational -- many rock stars have it like Steve Perry, Mick Jagger, and Robert Plant. But he projects it earnestly and with approachability. 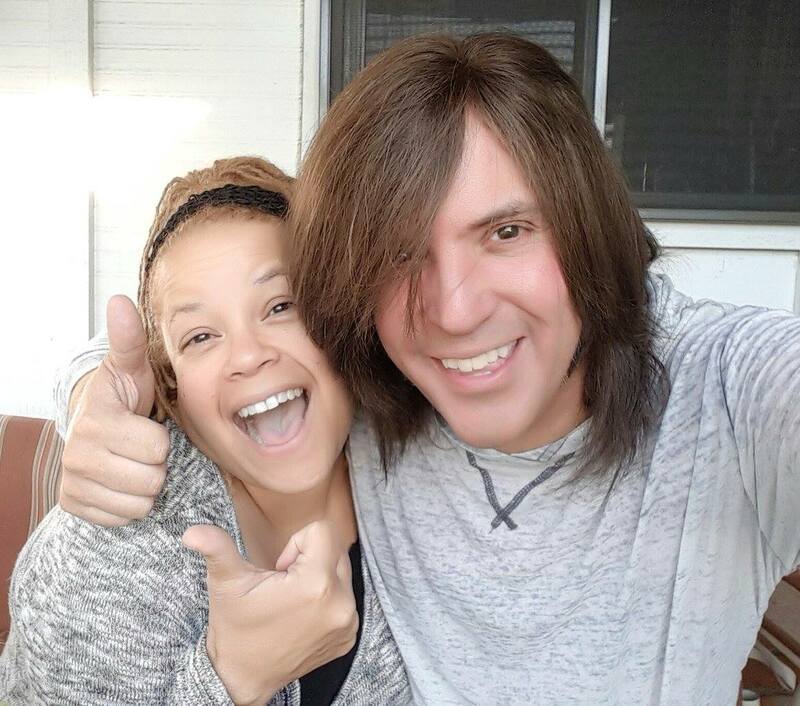 Many in the audience can feel that energy from an artist, but they just can't quite put a finger on why they are drawn to that person onstage or articulate it, in this case that mojo's coming from a Journey tribute band singer named Jeff Salado. He has "It" and knows how to use it, whether innately or that he's developed it over the years through self-awareness of it. Since that Black Oak concert, I've worked with the band at gigs at the Covina Center for the Performing Arts (Los Angeles in a theatre venue), Victorville (the San Bernardino County Fair on a huge pro-production outdoor stage), and in San Jose at Rockbar, a 1,000-capacity nightclub with a pro-level lighting/sound environment). They throw it down in every venue and provide huge opportunities to capture dynamic photos, audio and video for fans who don't have the ability to attend. Like Perry, Jeff walks a tightrope each gig without a net, no Auto Tune, no lip sync. And the songs are not dropped a half-step, they are performed in the merciless standard E tuning. 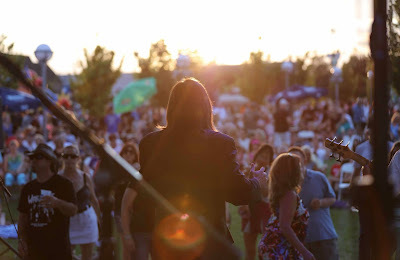 It's Jeff’s vocal instrument out there, often without support for adequate rest, or experiencing weather conditions at gigs where temperatures may exceed 120 F onstage, as was the case at Kings Fair in Hanford, California in June 2015. And that is the story of so many vocalists at the working tribute band level. And unlike Perry, who as the originator of these songs had the latitude to try alternate interpretations live, tribute singers like Jeff Salado have to pick a live or studio version that is familiar to the audience and try to match it, note-for-note each time. I told Jeff to read this from time to time to remind himself what sets him apart as a performer and professional from so many others. You'll have to weigh in to share your thoughts about what Jeff brings to a Journey Revisited performance. And thank you, Jeff, for being so willing to open up and share! Journey Revisited - Separate Ways - Rockbar Theater - 10/16/2015. Journey Revisited - Separate Ways - Rockbar Theater - 10/16/2015. Prepare to be wowed! Journey Revisited - Just the Same Way - Rockbar Theater - 10/16/2015. 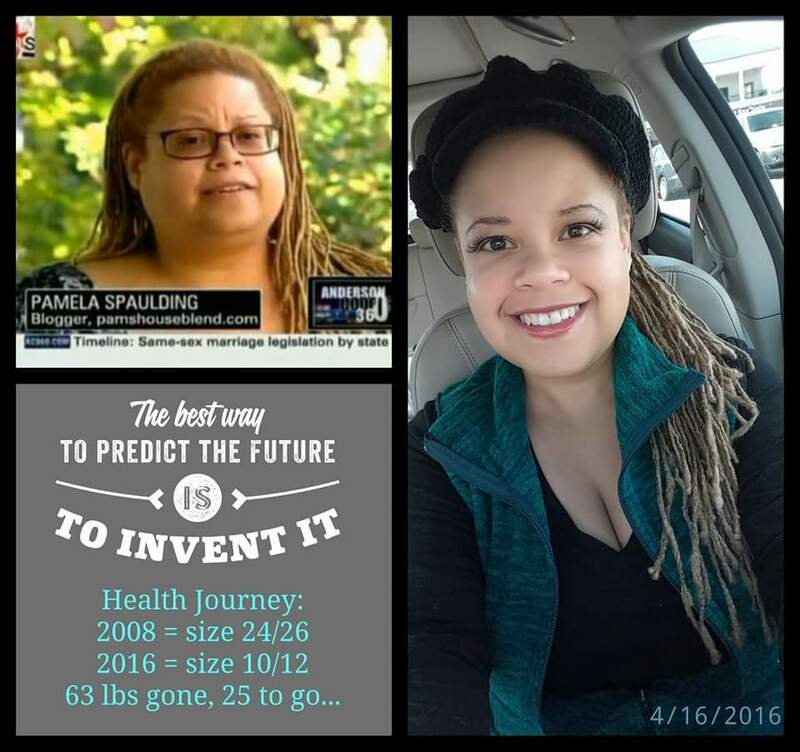 Panda health progress update! Still losing...and trying to find a few new pieces of clothing that will 1. Stay up. 2. Fit some kind of way as I drop the last 25 lbs. So Saturday I went into Kohls, and needed a light sweater because I have been so cold intolerant, and saw a nice one in the Juniors section. Shock #1: I picked up an XL (I have no clue what Juniors size that is, maybe a 13?) and said "this will never fit." I pull it over my dang rack and IT FIT. It was $17, so I got it. Shock #2: Just for giggles I go over to the Juicy jeans section. Let's try on some pants. I eyeball a pair that roughly looks like it MIGHT fit, might be too small, not looking at the size. Get in the fitting room and THEY FIT. Not quite right though, wrong cut for me. Too loose in the legs, and too snug in the waist so they went back on the rack. BUT THEY WERE A SIZE 10! Unreal. I started out on this journey a 22. Seriously, I still look in the mirror and don't see someone that small. But this week a photo turned up in my feed (Autumn and Laurel, sorry I cropped you on this one! ), and it reminded me very starkly what I looked like five years ago. Big change from that time (61 lbs heavier then), but I will never be petite, mind you. And that's ok. Journey Revisited - 7/18/2015 State Theatre Gig Promo Montage - Just the Same Way. JR Videos, stills and information to highlight the benefit for the Center for Human Services at the State Theatre presented by the DB Project. 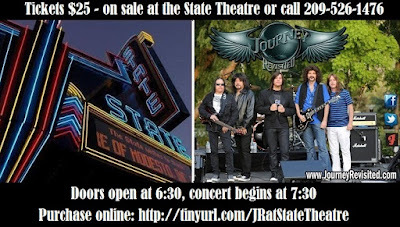 Montage, vids, pics by Pam Spaulding of Team JR.Tickets are $25, purchase online: http://tinyurl.com/JRatStateTheatre; or call the State Theatre box office at 209-526-1476.